How to get rid of the duplicates This was tedious, and not overly obvious. First, make sure you’re seeing all the duplicates by selecting File > Library, then holding down the Option key and selecting Show Exact Duplicate Items. Now select a movie (or movies with Shift/Command-click) you want to remove, and press Delete. If the duplicate is on your local hard drive, everything works fine—the copy is removed, and you’re good to go. Pressing Hide Movies will definitely get rid of the duplicate movie in the list. But as noted in the not-emphasized-at-all plain small text, it also hides the movie from your Purchases list. 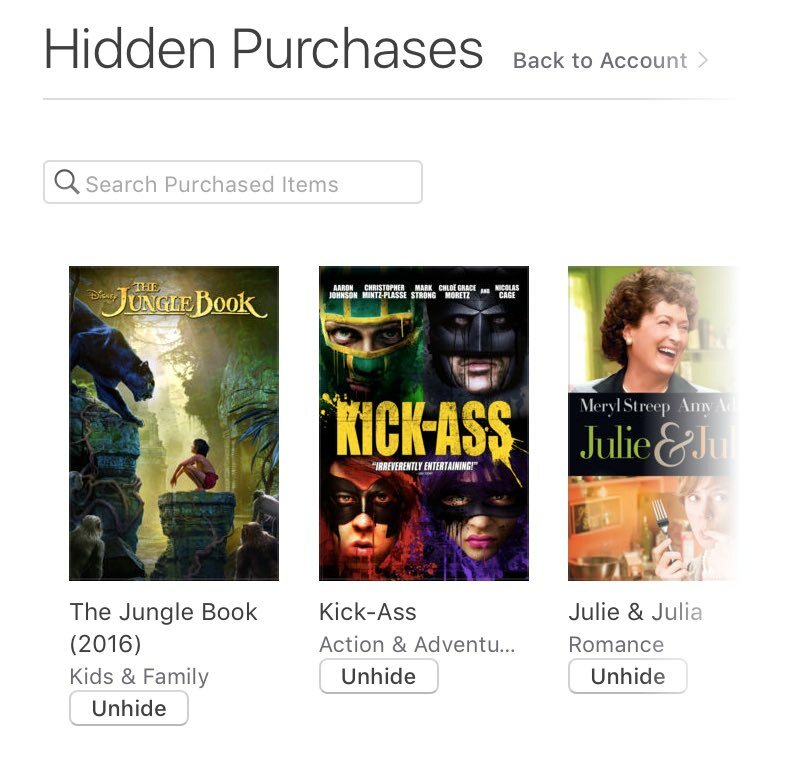 Click the Unhide box below each movie—ha ha ha isn’t it cute how they don’t line up?—and then return to your iTunes movie list. Your purchased movies will now show again on your other devices, and you should only have one instance of each in your library. In theory, changing the setting and cleaning out the existing dupes should mean the end of my iTunes purchased movie duplicates…but we’ll see. Was just wondering about these duplicates myself and got to the hidden part and stopped. Thanks to your trial run I finished the process. There is an Unhide All button in the lower right if you know nothing should be hidden. It might be worth noting that “Show Exact Duplicate Items” may not work quite as expected. I purchased two versions of a song named “Willow”, both by Paul McCandless, which appear when that command is executed, although, as exposed by the list details, the items are clearly not exact or even close duplicates, if information besides title and artist is considered. This may be the result of a specific issue, though, because it’s the only such instance I’ve observed. There appears to be two reasons (at least for me) for the duplication. One was the 1080p / 720p differentiation noted in your article. The other was because some duplicates had one movie with iTunes extras and another without. These instances don’t show up in the “Show Duplicates” view. If, however, you display the movies as a list instead of a grid, the duplication becomes clear and you can remove and hide the ones you don’t want.